In an article published by Crain’s Detroit Business on May 21, 2018, attorney Dennis Mitzel along with co-author Rita Tinetti discuss the potential effects of recent tax law changes on charitable giving. Although the ultimate effects are currently unknown, Dennis and Rita believe the new tax law will largely impact middle income donors (earning between $75,000 and $300,000 per year) more than any other individuals. Because of the new tax law changes it is recommended that donors consult with their financial and legal advisers to understand their options. 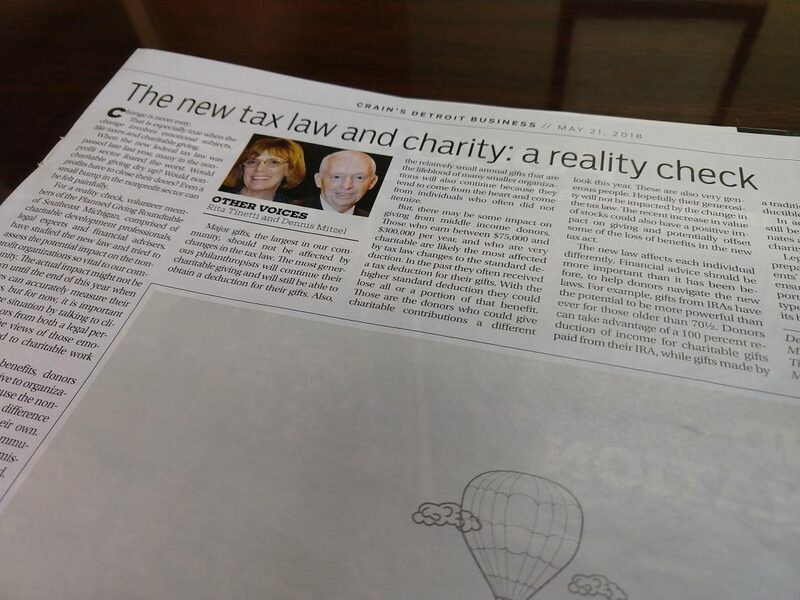 You can read the entire article here: The New Tax Law and Charity: A Reality Check. If you have questions about recent tax law changes involving charitable giving, please contact our office.